Last Fall, students at George Mason University in Fairfax, Va., brought a world record to the school -- the world’s largest dodgeball game. However, less than three weeks after the school captured the record with 1,257 students participating, the University of California at Irvine broke it. The UC-Irvine students topped Mason with 1,745 participants so quickly that Mason's record was still in the approval process with the Guinness Book of World Records. 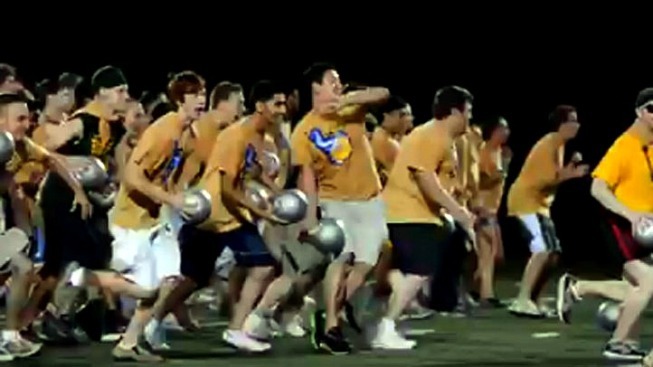 Attempting to "take back the crown," students gathered at an on-campus football field Friday night to compete. Unfortunately, only about 850 students showed up, drastically short of the record-holders' mark. Determined to have a good time, record or no record, the game went on as planned with a positive response from participants.